Yesterday in al-Khalil (Hebron) in occupied Palestine, a female settler harassed and attacked international activists who were monitoring a checkpoint during school-time. In the morning volunteers were standing close to Qurtuba school, monitoring children on their way to school. This school is particularly prone to attacks by settlers, as the stairs leading to the school are located directly at the entrance to Shuhada Street, which has been entirely closed for Palestinian and occupied by settlers since 1994. Anat Cohen, infamous for several attacks on Palestinians, came driving down the street and suddenly almost backed up into the international activists, who had to jump out of the way in order to avoid being run over. She then got out of the car yelling at the volunteers to leave, insulting them verbally and threatening to beat them. The soldier stationed at the checkpoint right opposite did not intervene, even when repeatedly being asked for help by the activists. When the police arrived they ‘explained’ Anat Cohen’s behaviour by stating that it was the first day of school after the holidays for children from the illegal settlements in al-Khalil. They then ordered the internationals to do as Anat Cohen requested and not stand on the street. 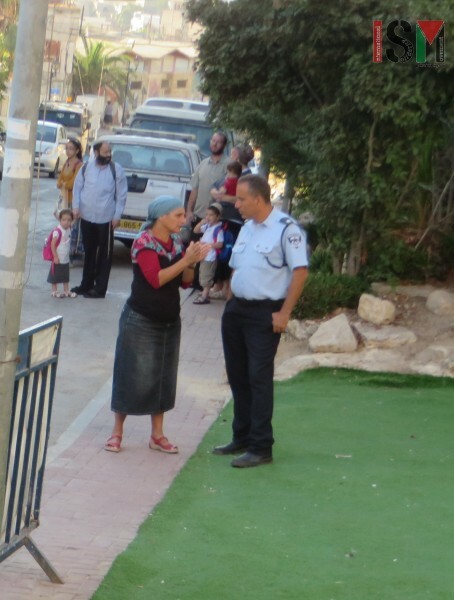 This is just another striking example of the power individual settlers exercise over the police. In the afternoon, the volunteers returned to the checkpoint for the end of the school-day for Palestinian children in Qurtuba school and the close-by kindergarten. When Anat Cohen came driving by in her car again, she was driving directly towards one of the volunteers in fast speed. The activist was only able to save herself from being hit in the last minute by running away. Instead of taking any action against Anat trying to hit the volunteers with their car, the soldier threatened the volunteers to call the police and have them arrested if they did not leave immediately. Watch the video of Anat Cohen attacking internationals here.